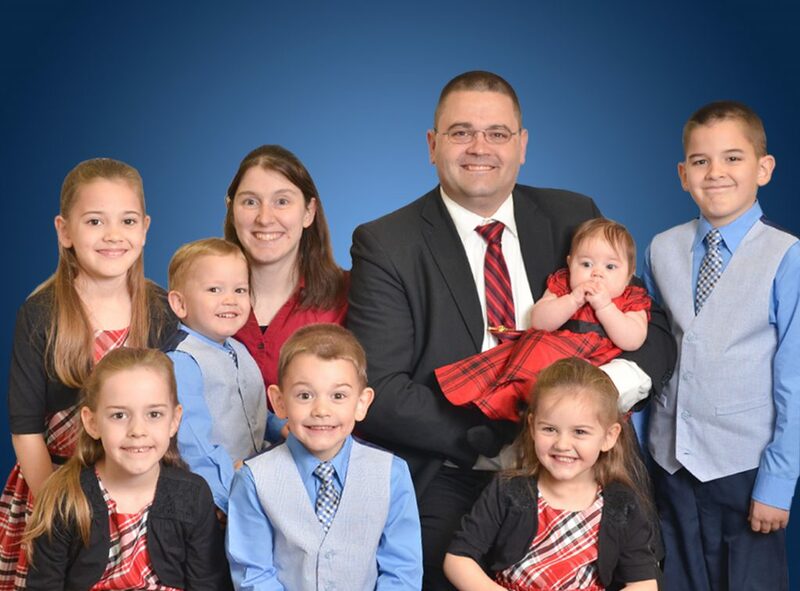 Jon and Elizabeth are thrilled to be serving with Armed Forces Baptist Missions. They are called by God to preach the Gospel of Jesus Christ and to plant strong Independent Baptist churches near military institutions to reach our heroes with the Gospel of Jesus Christ. Jon has personally seen the need for the Gospel light while serving our country in the United States Marine Corps in the State of Washington. God has directly called Jon and Elizabeth and their children to begin their ministry by planting a church near Fairchild Air Force Base. They are fervently pursuing God’s call. Jon and Elizabeth were both saved at young ages and grew up in great churches. They are thankful for their families who helped lead them to personally receive God’s gift of salvation through Jesus Christ alone and who brought them up in the “nurture and admonition of the Lord.” God has led them both to Bible College where they met and were very involved in soulwinning and outreach ministries through their local church. During Jon’s time in college, God gave him a great desire to plant churches. He gained valuable experience by preaching weekly in his local church and regularly at the local rescue mission. The Lord also allowed Jon and Elizabeth to lead two Vacation Bible Schools and they were thrilled to see young people accept Christ as their personal Savior. The place to which God has now called Jon and Elizabeth is unique. Fairchild Air Force Base (AFB) is home to over twenty diverse units. These valiant men and women serve our country, carrying out the orders of their commanders courageously. The men and women of Fairchild AFB are involved with regular deployments of airlift and aerial refueling aircraft. Following the destruction of the World Trade Center, Fairchild AFB began providing around-the-clock air refueling of Combat Air Patrol fighter aircraft and initiated 24-hour ground alert operations in support of Operation Noble Eagle. Fairchild AFB also began a series of extended Operation Enduring Freedom deployments for aircrews and maintainers as well as combat support and medical personnel. These men and women are involved directly in protecting us against terrorism and need an Independent Baptist church in their area to be a lighthouse of the Gospel to them. God calls AFBM missionaries to serve in unique ways around the globe. Maybe He is calling you to have a special role in Jon and Elizabeth’s ministry to Fairchild AFB. Please pray about partnering with them through prayer and/or financial support. Contact the Schrocks for more information and to sign up for prayer letters.